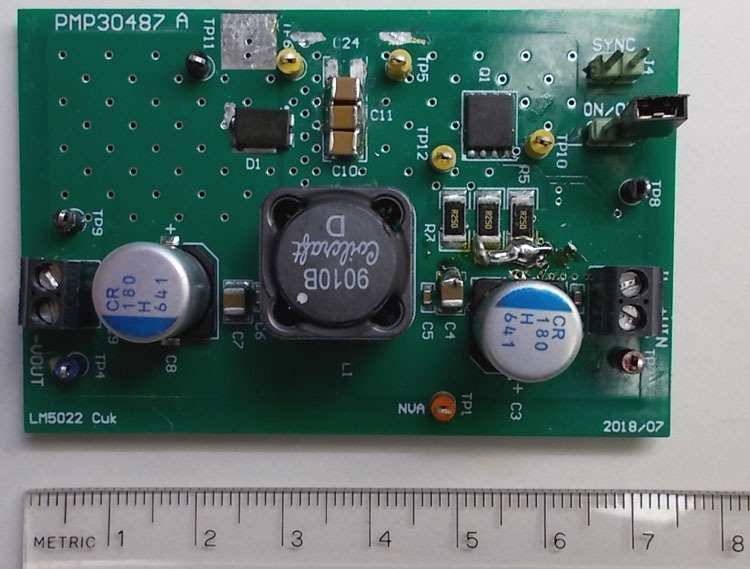 This reference design is an inverting SEPIC (Cuk) Converter powering 50-W continuous and up to 70-W peak. The used Cuk topology provides continuous currents at input and output: which allows the lowest conducted emissions in both directions. Compared to an inverting flyback radiated emissions are low as well due to no RF ringing at the switch node.